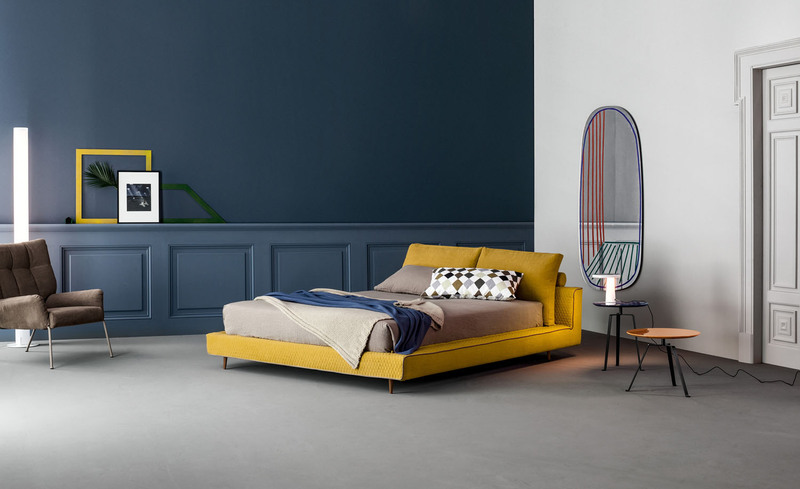 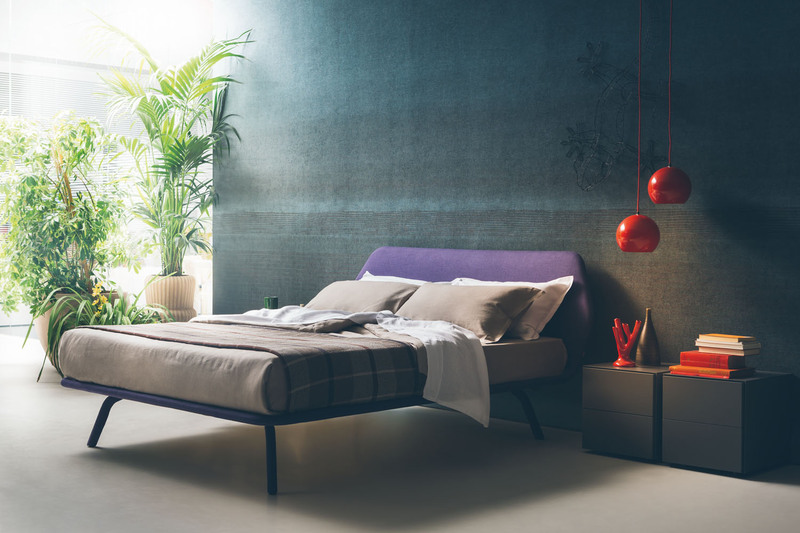 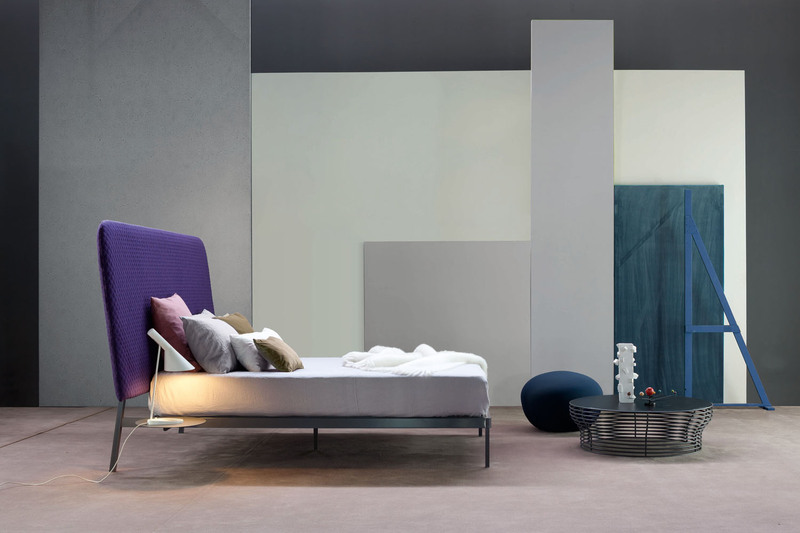 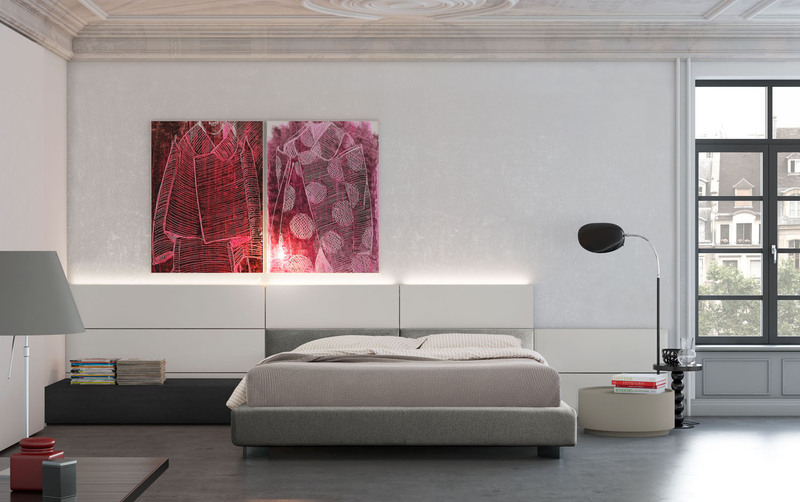 Bold character, iconic design and a modern, futuristic soul: the Rialto bed is emphasised by the presence of spacer elements between the panels of the headboard and storage base below. 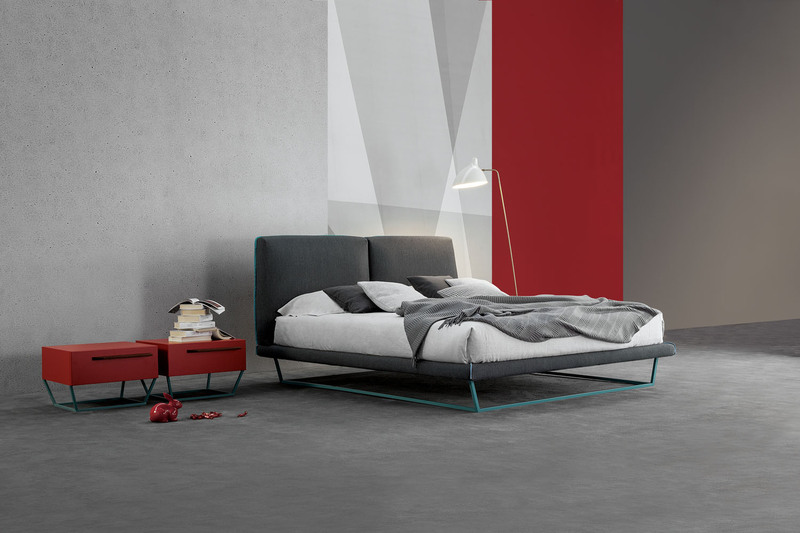 Bold character, iconic design and a modern, futuristic soul: the Rialto bed is emphasised by the presence of spacer elements between the panels of the headboard and storage base below. 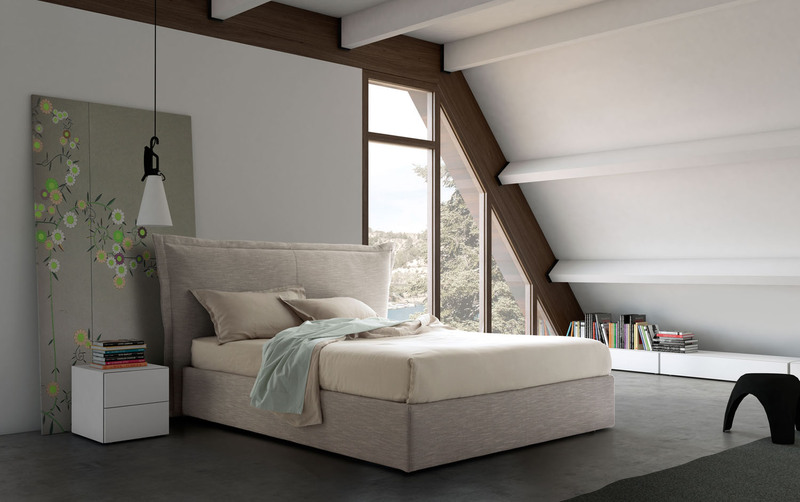 The finish allows plenty of customization options. 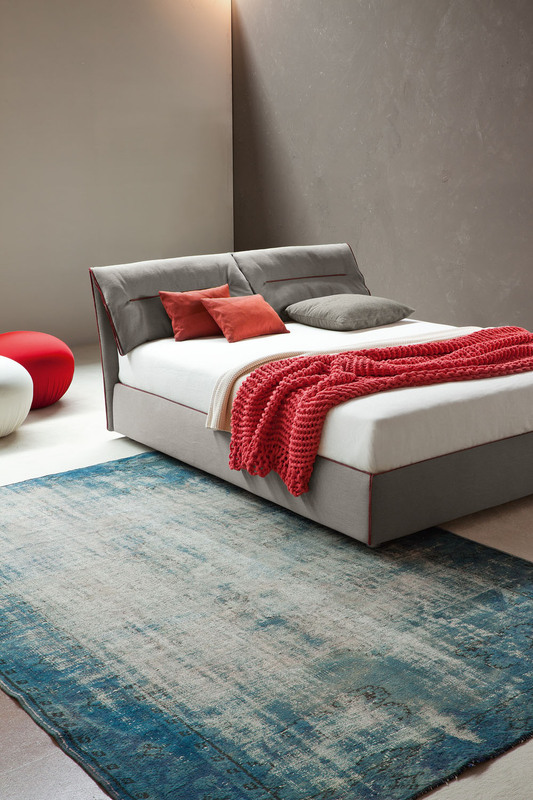 These strips can coordinate or contrast with the bed base colour, for a plainer or more intensely personal effect. 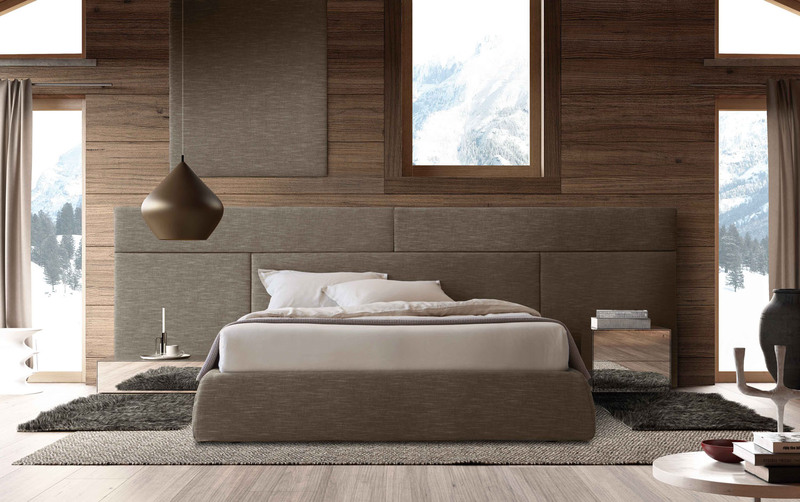 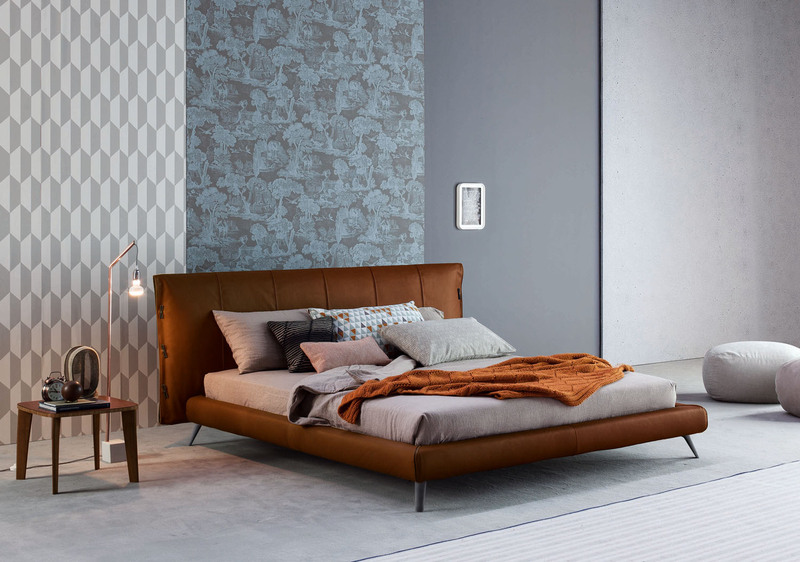 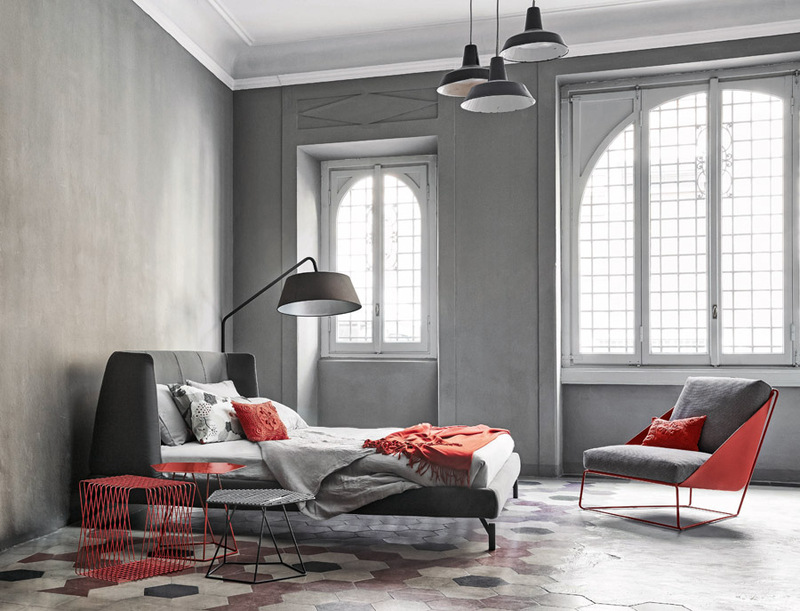 There’s continuity between the bed base and headboard material, both created out of leather-clad or fabric-upholstered panels. 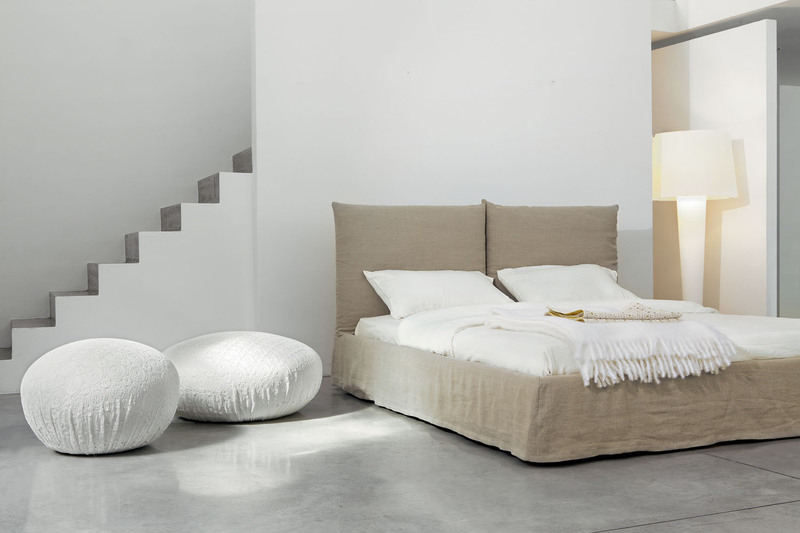 Soft padding adds a pleasant, comfortable sensation to all surfaces of the structure. 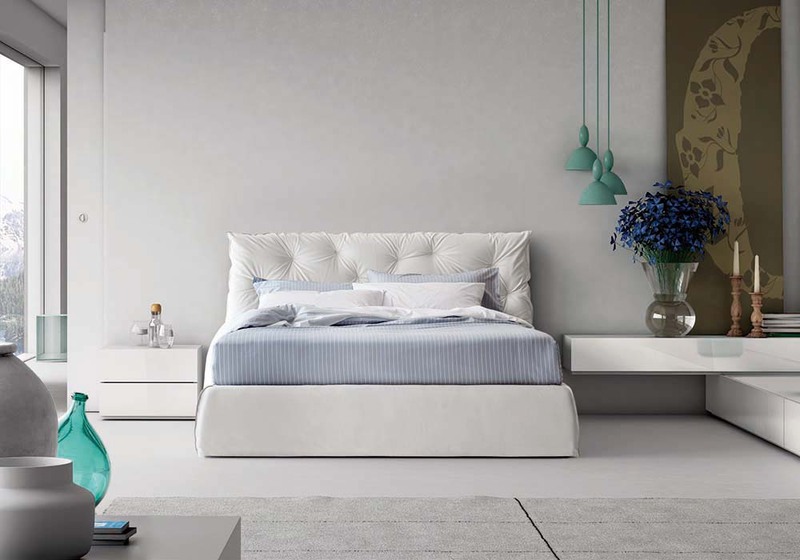 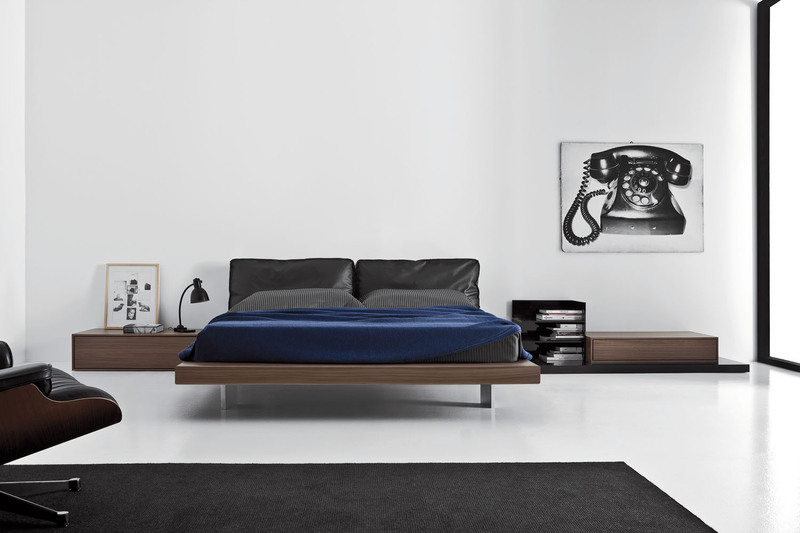 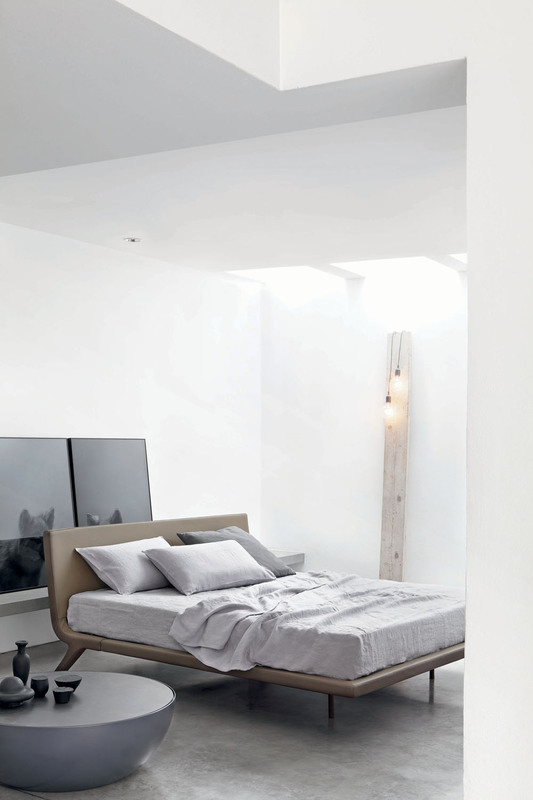 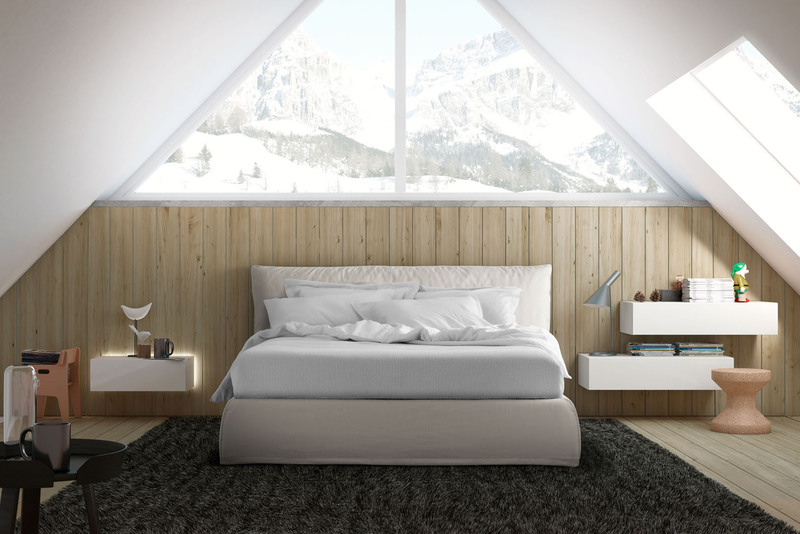 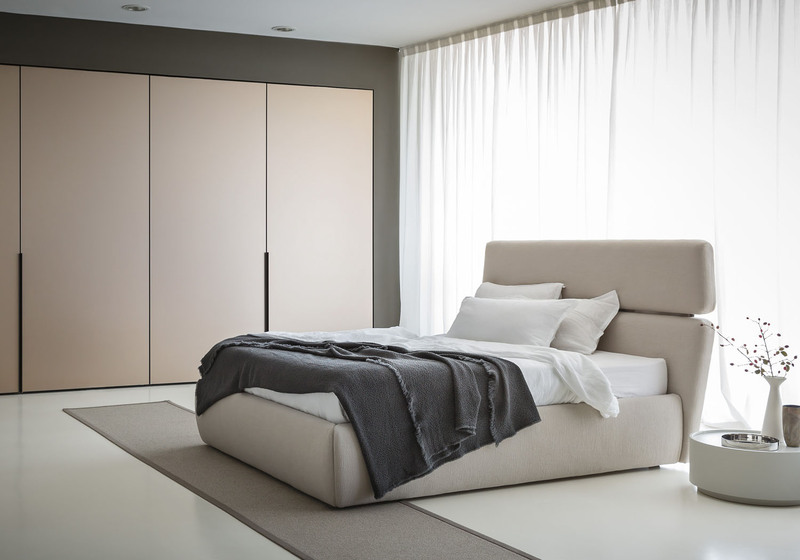 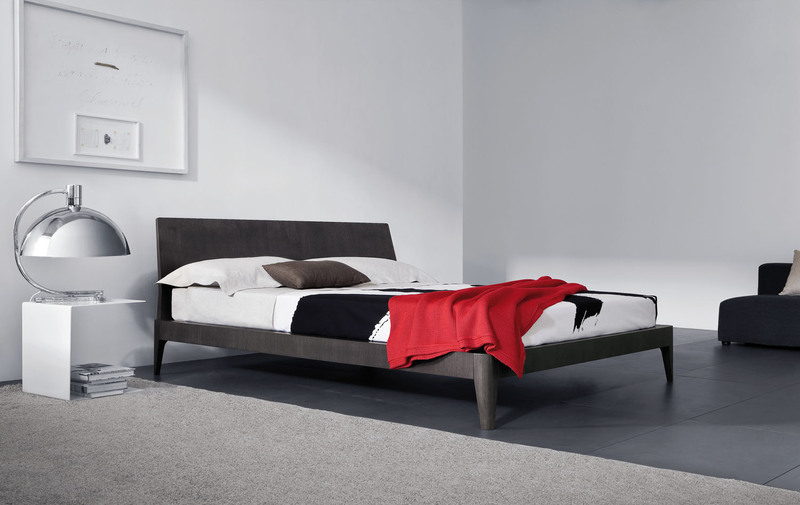 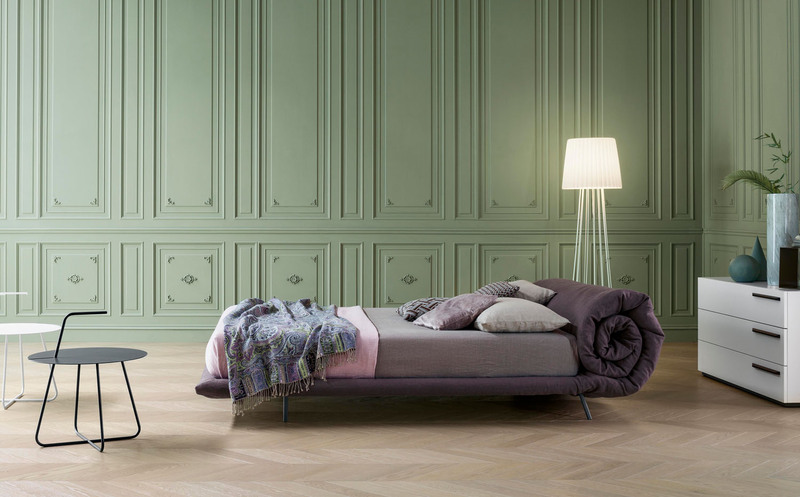 Rialto is available in three versions, with different headboard shape and size. 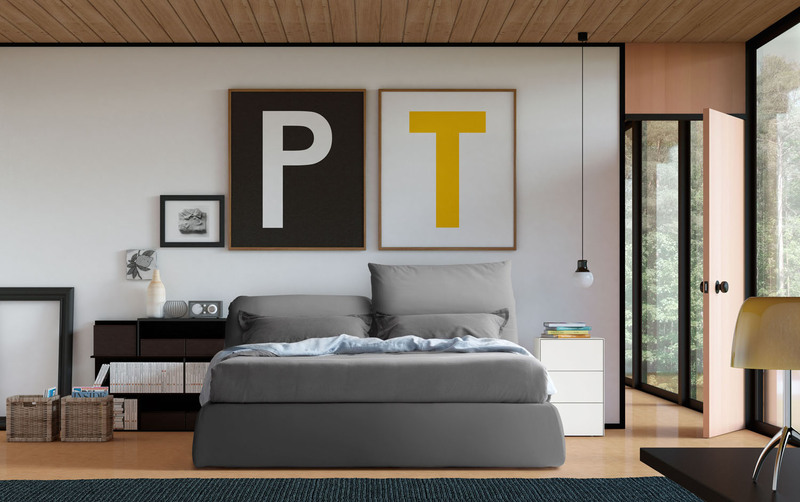 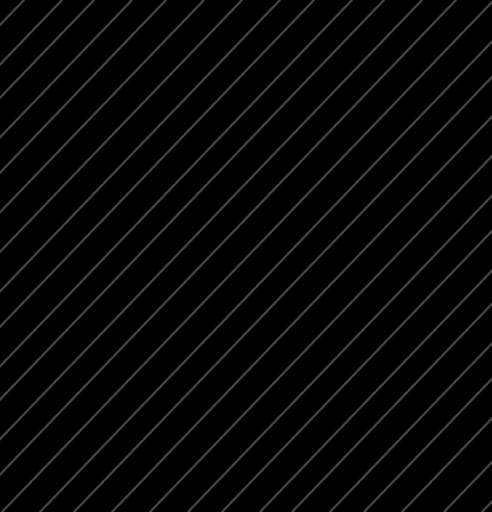 The BASIC version, the PLUS model and the LARGE version.